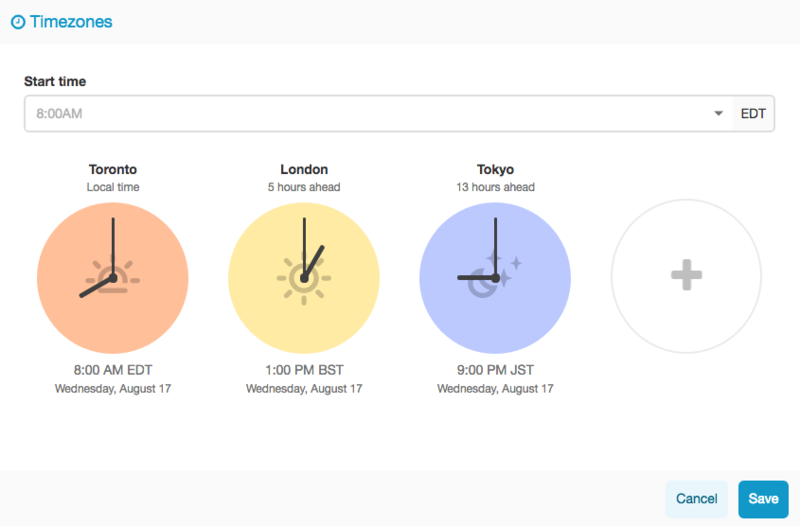 New Features: Scheduling Calls In Multiple Timezones And More! In our latest update, we’ve implemented a few new features to make your conference calling experience even better. This new feature allows users to view other timezones while scheduling a call through the FreeConference website. By using this feature, users can easily find the perfect time to meet with callers around the world! To use our timezone scheduler, you first need to log into your FreeConference account, and begin scheduling a call. Then, click the ‘Timezones’ button to enter the viewing page. Your timezone will be shown here by default. You can add other timezones from here, as well as change the time of your call from the top dropdown-bar to find the perfect time for all participants. Once you’ve found the perfect time, you can hit the ‘Save’ button and carry on with scheduling the rest of the call. 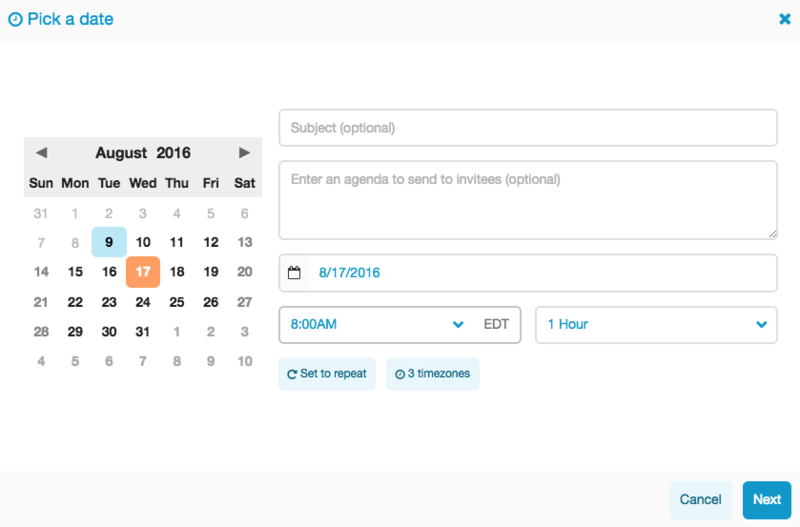 We’ve recently integrated full online-calendar support into our email invitations. Selecting ‘Calendar Request Invitations’ will send calendar attachments via email to your conference invitations, so that they’re automatically synced into participants’ calendars. You can also select ‘Email Invitations’ if you’d prefer to send detailed invitation emails, which includes the date and time of the conference, as well as dial-in numbers and access codes, as seen here. When joining a video conference, video feeds will now be turned off by default. Once ready, participants can click on the ‘Video’ button on the dashboard to start their video feed. We are committed to providing you with the best conference call service in the business and will continue to roll out new features on the regular. Enjoy and happy conferencing!